Paul has remained available to his Residents while performing all his duties at City Hall. One of the hardest working Councillors at City Hall! Trusted by City Council to Chair a number of Standing Committees. His attendance record at meetings & innovative initiatives through policy is exemplary! Never missing a City Council meeting! Paul will ensure Scarborough – Guildwood receives the attention it needs and deserves. EXPERIENCED PROVEN LEADER: Paul gets things done! He has successfully represented his residents by ensuring that their needs are heard and met. Paul has held more than 100 community meetings over the last term continuing his monthly Town Hall Meetings along with his electronic newsletter. Your Voice Steers his Decisions! Every Mayor and City Council has Trusted Paul by appointing him to a number of City Committees as Chair, where he has successfully brought proven cost saving measures to residents while showing his leadership in ensuring his committee responsibilities and contributions are held to a high standard. 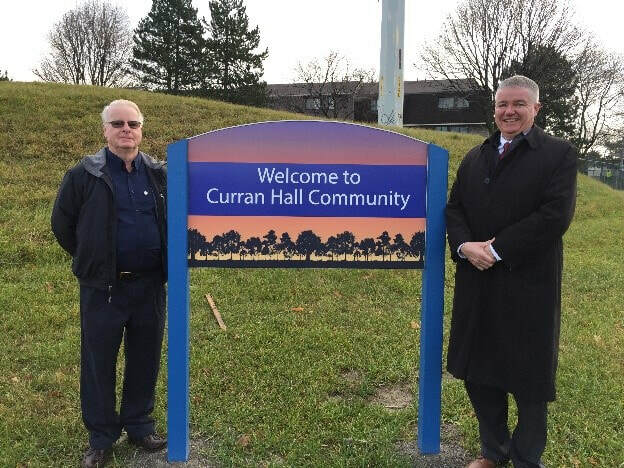 PUBLIC TRANSIT FOR ALL: Paul has delivered in introducing new Public Transit Improvements to his residents along with infrastructure projects to Scarborough! 902 Markham Road Express – Delivered - The route will operate along Markham Road providing a faster route option. Seamless Kingston Road 12D – Delivered – continuous bus Route along Kingston Road! Paul work with residents and got it done! TTC Bus Route for Brimorton Drive – at TTC to review and implement. Our petition for a TTC bus route along Brimorton Drive is submitted and underway. LRT along Kingston Road and Morningside Avenue: Paul has ensured that the funding for this route remains a priority for the City and Province. Over 40,000 residents would have access along this route. The plans for the Scarborough Subway to the Scarborough Town Centre are underway, residents I know have expressed disappointment in the reduction to only one stop. We need to address responsible planning to ensure our tax dollars are spent to serve us best. EMPLOYMENT: Paul has been working diligently to build a Jobs Skills Centre in Scarborough at the former site of Sir Robert Borden BTI located at 200 Poplar Road since the TDSB announced its closure. Paul understand we need to have people trained for long term good paying jobs here in our community. Working with the Province, Paul has made significant steps to raise the need of a Community Hub and Job Skills Centre at this location. Paul will continue this fight. PUBLIC SAFETY: Paul introduced a seize and destroy motion demanding that the Province amend the law to destroy seized illegal weapons to ensure they are not put back on our streets. Paul is a huge supporter of the Toronto Police Services and was instrumental in bringing increased community officers to Scarborough. Paul will ensure our neighbourhoods have the required Police services working to keep them safe and liveable. RESIDENTS FIRST: Paul puts residents first! Paul has moved a number of initiatives forward on behalf of residents: implementing crosswalks in school zones - his initiative to lower speed limits in school zones across the City is being implemented - installing traffic lights for increased safety – installing senior safety zones in the community – attending to seniors in his work to support seniors who choose to live at home - supporting increased long term care beds in our community. Online registration for recreational programming and park permits. Saving the City Millions by adding to the Social Benefit Card Uses. Open Data across all divisions – enabling you to access city services on your mobile devices. Open Government – Paul spearheaded increased budget meetings, increased advanced polling days, increased public consultations for resident involvement. Online posting of expenses for transparency. Social Media has been enabled to reach residents of Toronto on meetings, important Issues, committee & volunteer opportunities. This is keeping you up to date on the goings on at City Hall. Ability to watch Committee Meetings and City Council online to help you keep in tune with items under discussion. • Eliminated paper news clippings, switched to electronic $170,000 saved. WORKS FOR HIGHRISE COMMUNITIES: Paul has held monthly mobile constituency office pop up for the last 4 years, bringing his office to you. Paul is tireless in working with all his residents who reside in our high rise communities to ensure that you receive a high level of service. Paul is a strong advocate for community organizations to ensure that residents are engaged and are knowledgeable about city initiatives, programs and services. Paul is hands on, having helped form the grassroots MornelleCAN resident's community group, participating in Residents Rising initiatives and forming Safety Committees in highrise communities. Paul remains a strong advocate for resident who reside in TCHC Buildings ensuring that agencies are accountable to its residents. 2018 COMMUNITY PUBLIC TRANSIT UPDATES! Paul has been working with the TTC and Residents to implement additional Public Transit for residents in Scarborough East. He has been successful in having 3 routes implemented in 2018! October 2018 and has already proven to have a high number of transit users! starting this Fall. Addressing the needs of residents this route will be allow for a faster option for all. The new route will provide continuous bus service. Paul has been advocating for a seamless bus route for a number of years. With the support of residents, petitions and continuous advocacy the route will be operational this October.